Craig Martin founder of Classic Albums Live took time from his busy schedule for an interview with Luxury Experience. 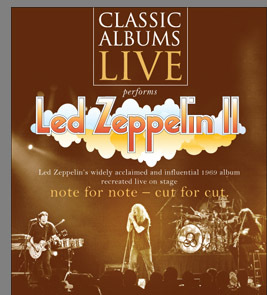 Founded in 2003, his vision for Classic Albums Live was to "take classic albums and recreate them live, on stage - note for note, cut for cut." Deeply passionate about the music that he grew up, he works with a core of about 35 - 60 of the best musicians to capture the nuances of some of the best classic albums and performs the music in concert. He is adamant about the focus of Classic Albums Live which is a concert series based in Toronto, Ontario, Canada, in that they should not be confused with tribute or cover bands. For first time audiences this might be a surprise, as you will not see the band jumping about on stage, nor will they be wearing wigs or other costumes in imitation of the band whose music they perform, their sole focus is on the music, recreating the sound exactly as it was recorded, much in the way that a symphony orchestra plays classic music without interruption. There is a serious commitment to the music, and there are different musicians for each concert, which include: Prince - Purple Rain, The Beatles - Abbey Road, Let It Be, and Sgt. Pepper's Lonely Hearts Club Band, Led Zeppelin, Led Zeppelin II, IV, and Physical Graffiti, Pink Floyd - Dark Side of the Moon, The Wall, and Wish You Were Here, The Who - Who's Next, Meat Loaf - Bat Out Of Hell, The Eagles - Hotel California and Greatest Hits, Fleetwood Mac - Rumours, and Creedence Clearwater Revival - Chronicle, to name but a few. As a teenager, Craig spent many hours listening to whole albums in his bedroom, and more often than not drawing while listening to the music instead of doing his homework, and I laughed as I thought that was a perfect description of me as a teen. Growing up, he came to love the music of the period and wanted to recapture that music. He describes Classic Albums Live as "curators in a way" preserving the integrity of the music, playing it exactly as it was recorded, with the same level of ability, and without taking poetic license. 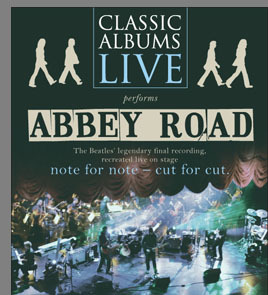 "Classic Albums Live has become the ultimate destination for music lovers wanting to hear the greatest albums performed live without all the gimmickry and cheesy impersonations. Relying only on the music, using what Martin refers to as "the world's best musicians," Classic Albums Live has defined itself as a mainstay in Performing Arts Centres across North America." We had the great pleasure of experiencing Classic Albums Live Presenting Pink Floyd's "The Dark Side Of The Moon" one of Craig's favorite performances, and "an ultimate rock album" that was on the top of the charts and remains a constant fan favorite, at the Cape Cod Melody Tent in Hyannis, Massachusetts. 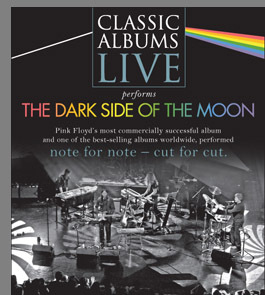 If you love classic rock, do go to see a Classic Albums Live performance.